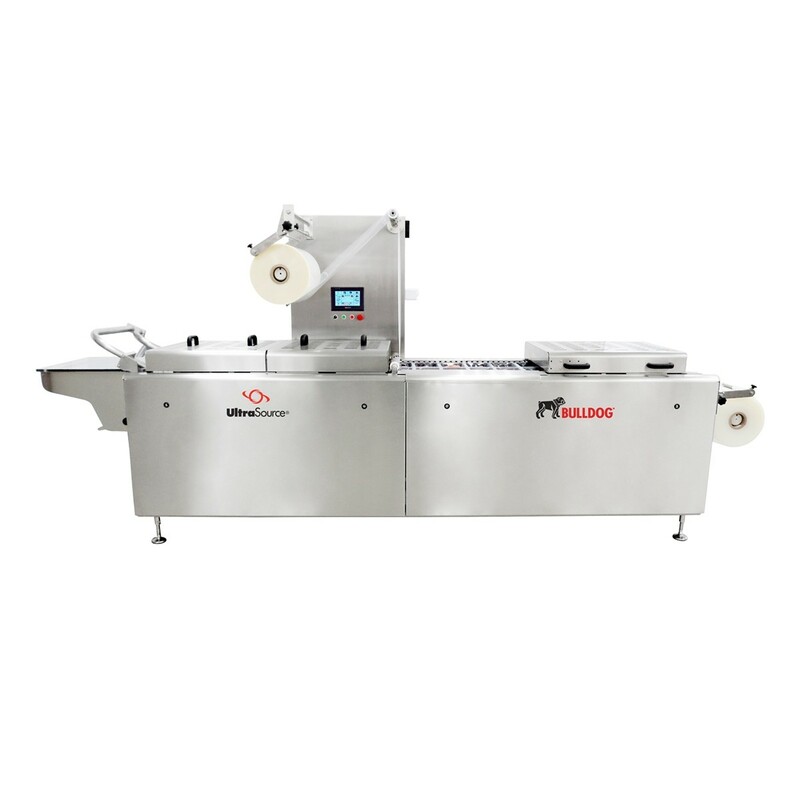 Designed from the ground up and manufactured at our Kansas City, Missouri facility, the UltraSource BullDog rollstock packaging machines offer a smaller footprint with many of the features as our higher-end machines. 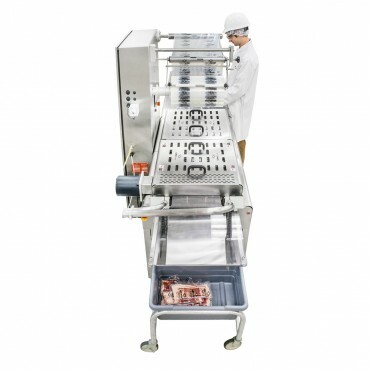 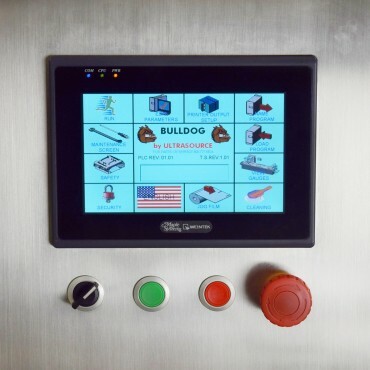 BullDog features a compact footprint, remote monitoring, and all stainless steel frame, modular construction. With output speeds up to 10 cycles per minute (c.p.m. 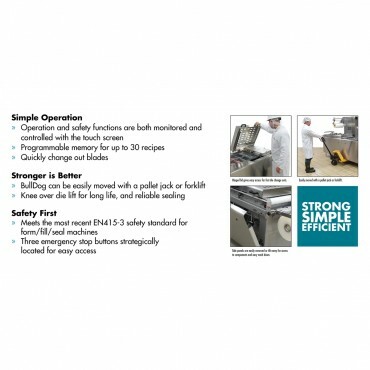 ), BullDog is ideally suited for small sized processors and is built to operate in wash down environments. 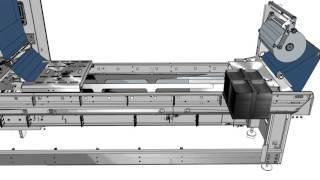 Parts and service are available from our centrally located Kansas City facility. 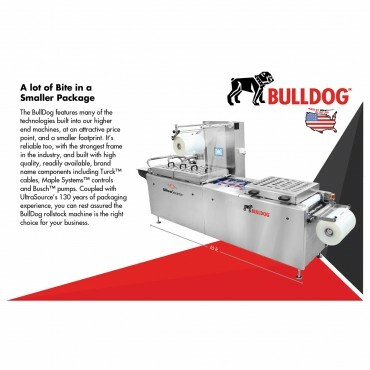 The BullDog can help you boost production and save money. 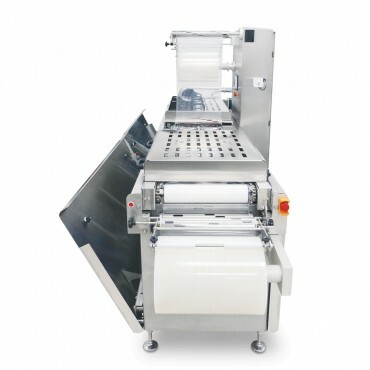 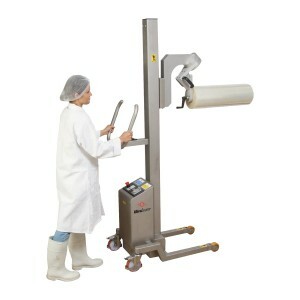 Loading open, horizontal packages is easier as compared to a vacuum packaging machine pouch and the machine can complete up to 10 cycles a minute. 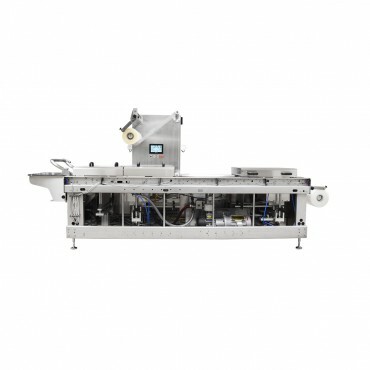 Also, with a rollstock film packaging machine, you can create virtually any package configuration you need and easily change between them by swapping tools. 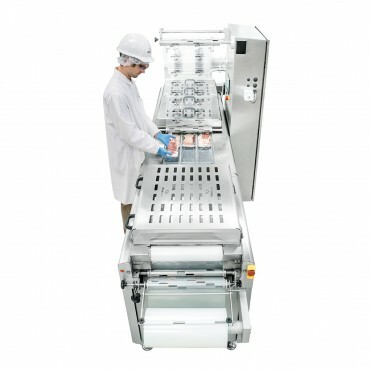 This helps minimize the storage space and inventory costs. 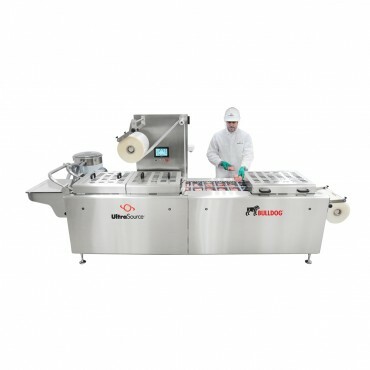 In addition to inventory costs, automatic sealing and cutting and the ease of filling packaging can reduce the workers you need while boosting your output. 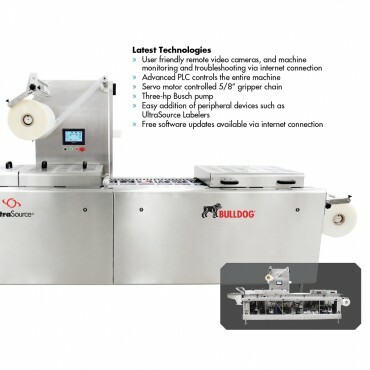 Additionally, our internet connected cameras mounted on the machine help reduce costs and maintain productivity by enabling remote troubleshooting and monitoring to help keep machines running. 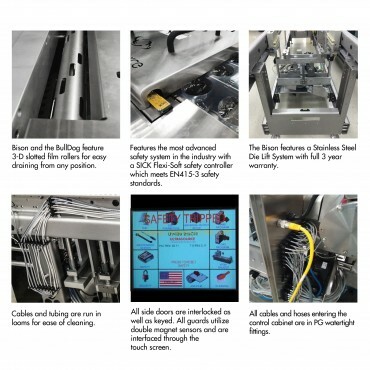 Unparalleled quality, performance, price and service!